Don Valley Windows are specialist double glazing installers who also are experts in uPVC windows, doors and conservatories. At Leeds Roofing Company we provide high quality work for domestic and commercial roofing customers throughout Yorkshire. Auto Locksmith Leeds are experts at replacing broken and lost keys as well as transponder programming in Leeds and surrounding areas. Expert auto locksmiths working out of Huddersfield. We are experts in car key cutting and car, van motor bike entry. Auto Locksmith based in Bradford in West Yorkshire. experts in vehicle entry and key cutting. Leeper & Deighton are a professional building firm in York, specialising in new build property developments and building extensions. Carl Stahl has been developing and manufacturing top of the line wire rope assemblies and other products for the wire rope industry. 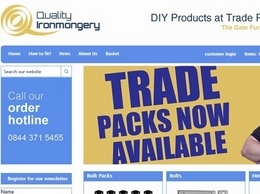 Quality Ironmongery supplies ironmongery products, including galvanised gate screws, ring latches, Suffolk gate latches and more. We offer recommendations on the best product for your needs which you can buy online individually or in bulk. 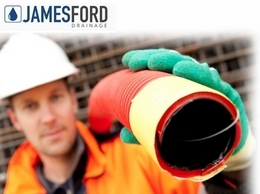 Founded in 2009 by James Ford, James Ford Construction has developed from a ‘sole trader’ groundwork company into what is now a well established multi faceted company providing outstanding services to the construction. 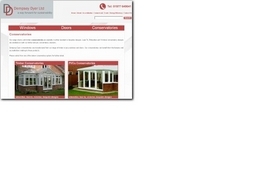 Manufacturers of a wide variety of standard and bespoke conservatory solutions to the trade and commercial sectors. 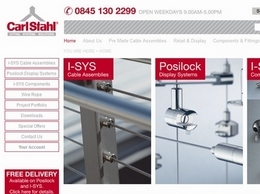 Products can be manufactured to suit the requirements of both residential and commercial developments. Distinctive Driveways are an experienced Pattern Imprint Driveway Specialist operating in the Leeds area.. We pride ourselves in offering our customers quality workmanship and materials at competitive prices. Blinds for Wakefield & Leeds. Manufactured and design by us, Solaire. Get in touch today for more information.